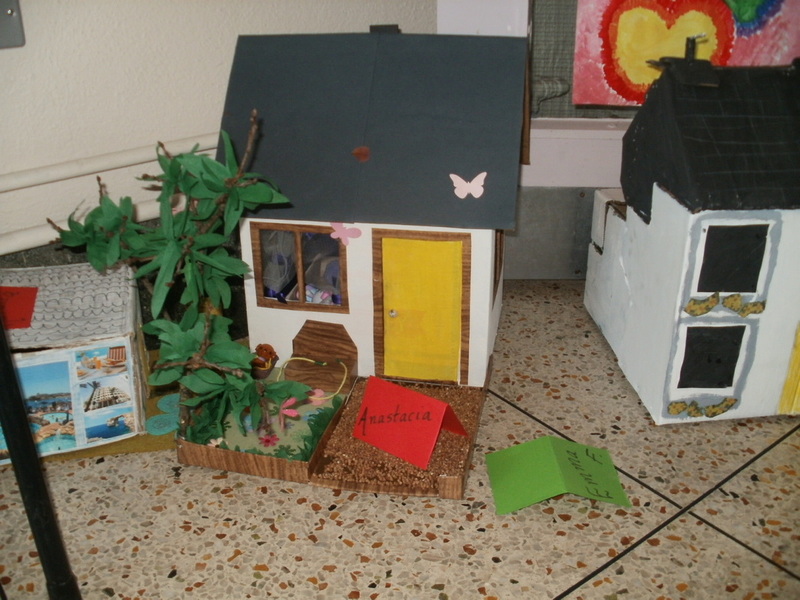 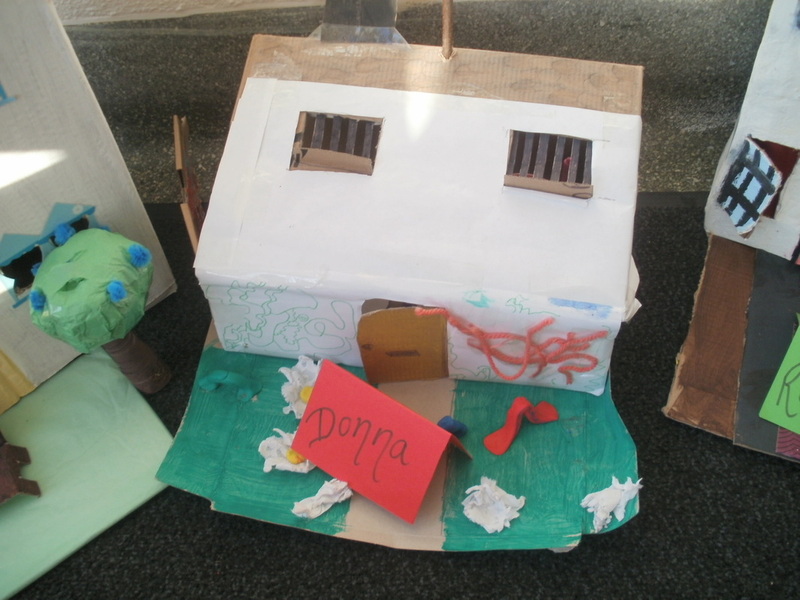 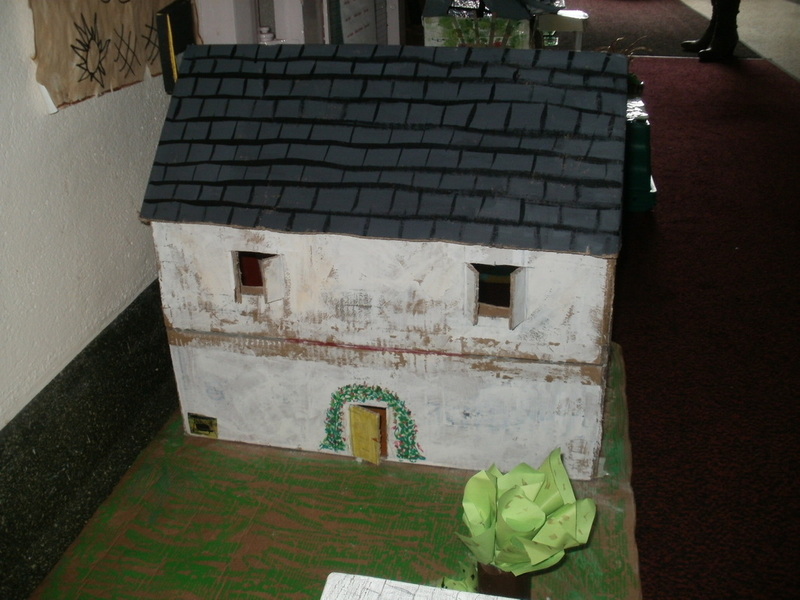 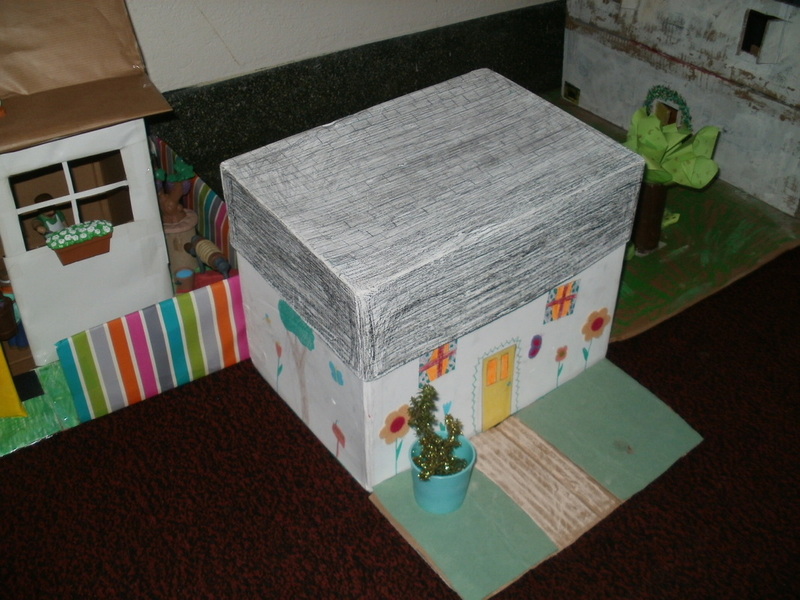 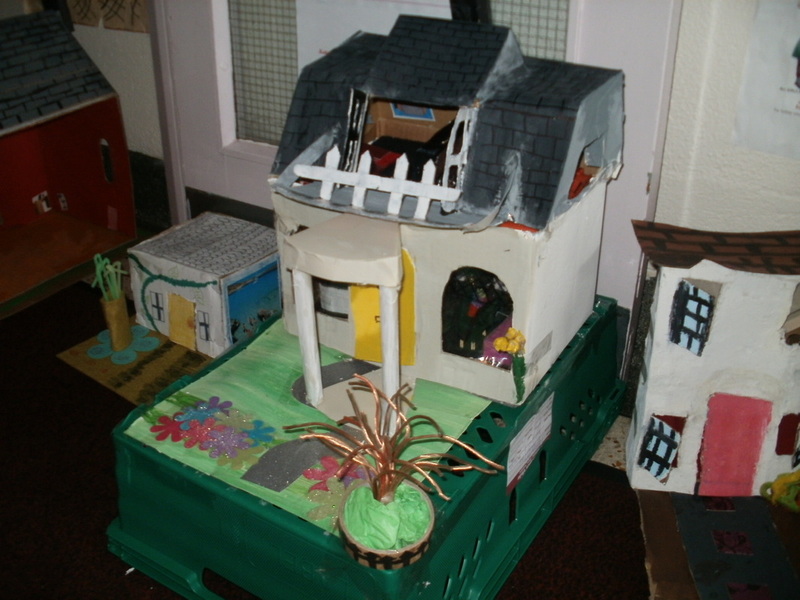 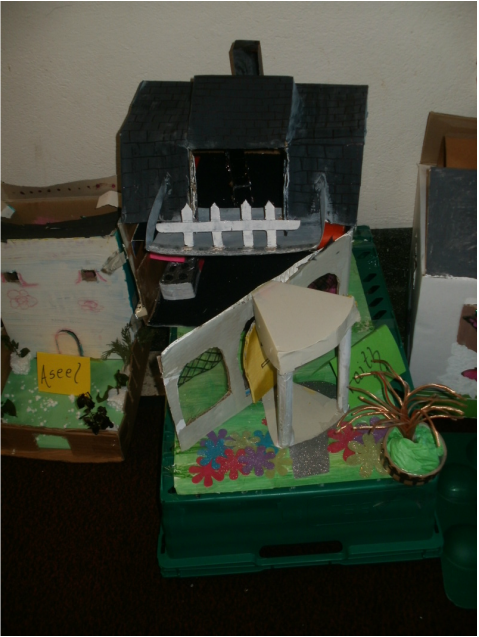 Here are more of the fabulous cottages the girls made in Room 9! 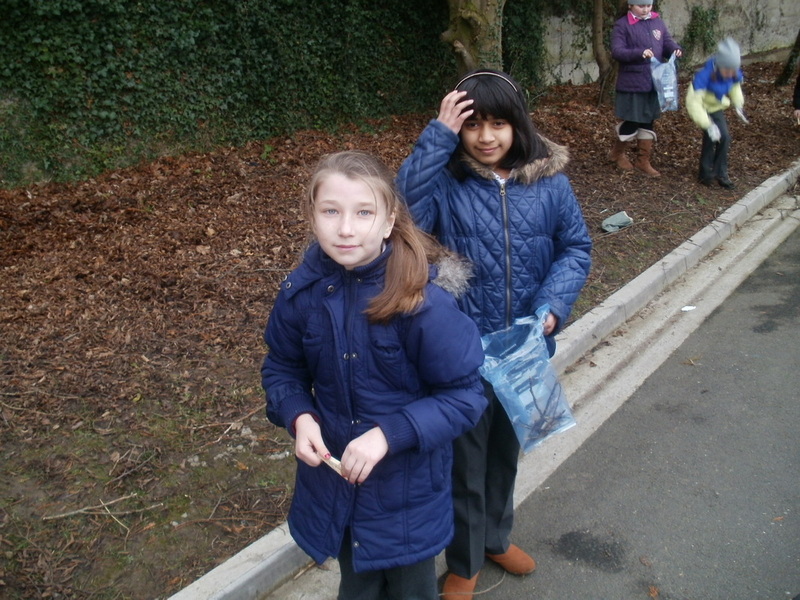 Next we went outside and looked for birds using binoculars. 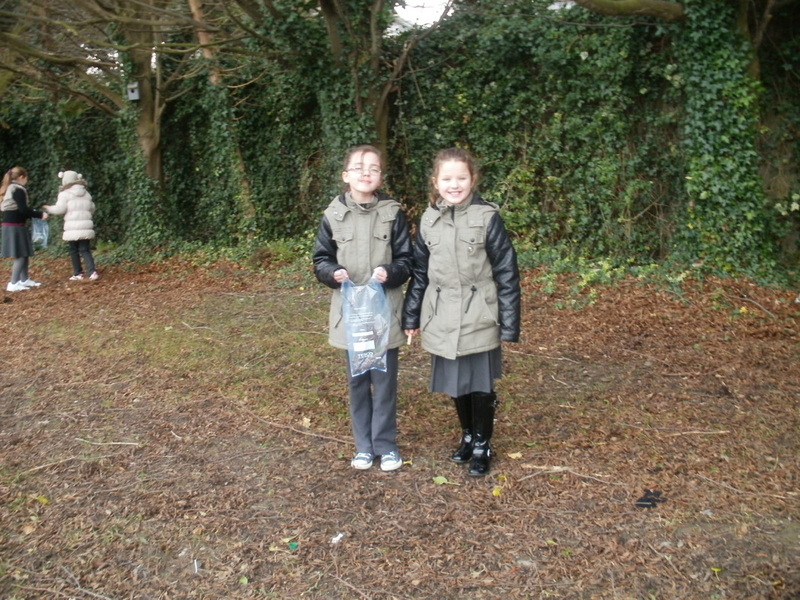 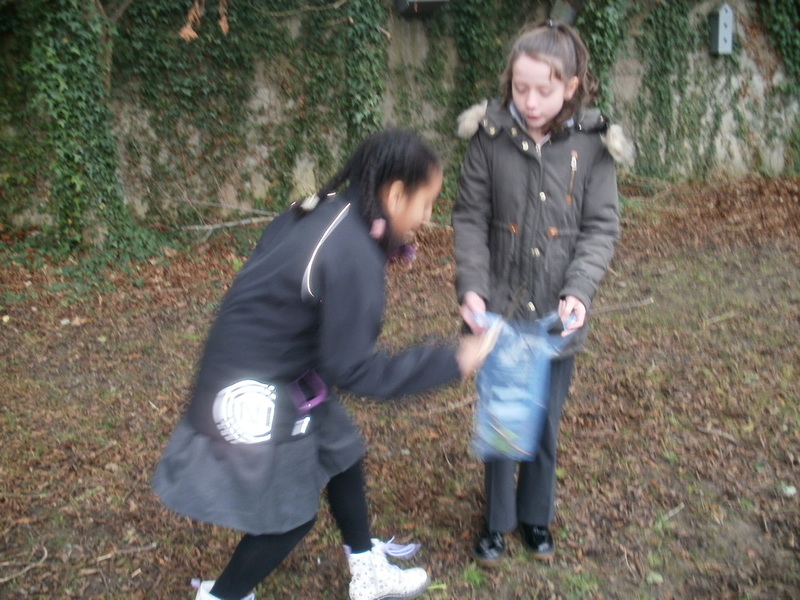 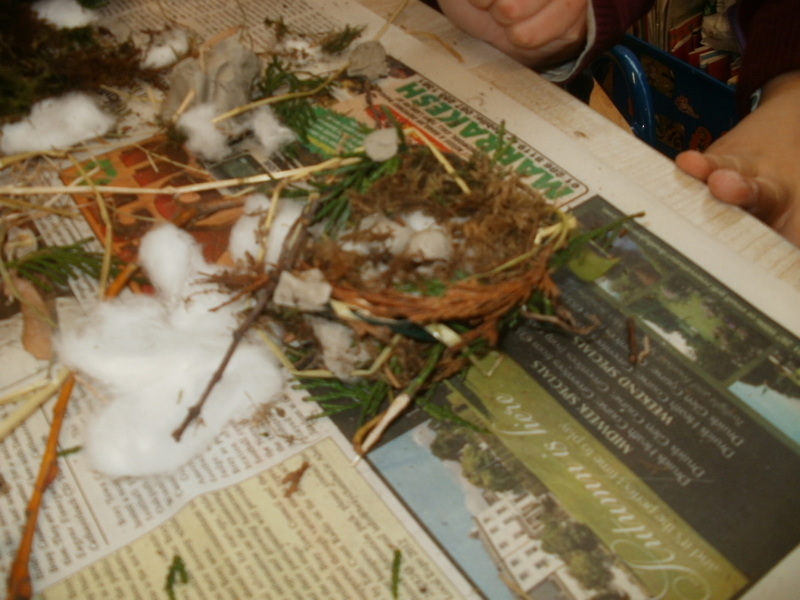 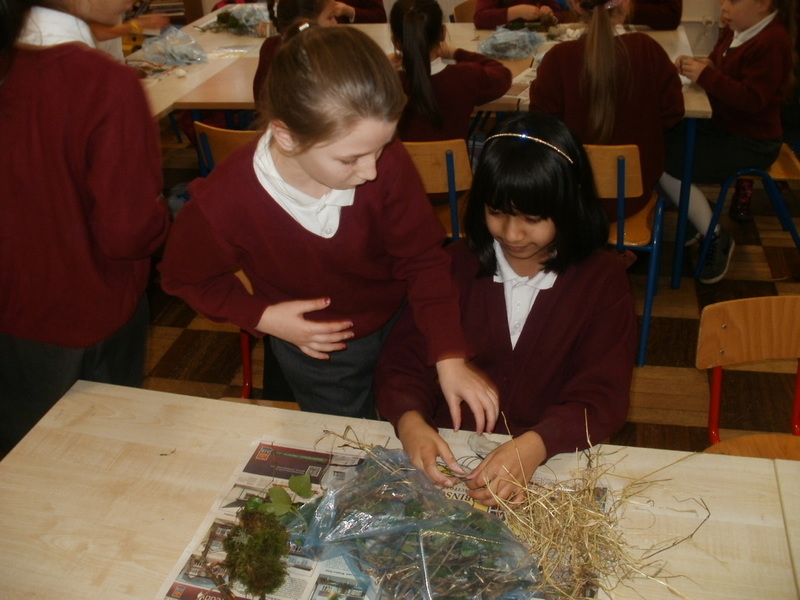 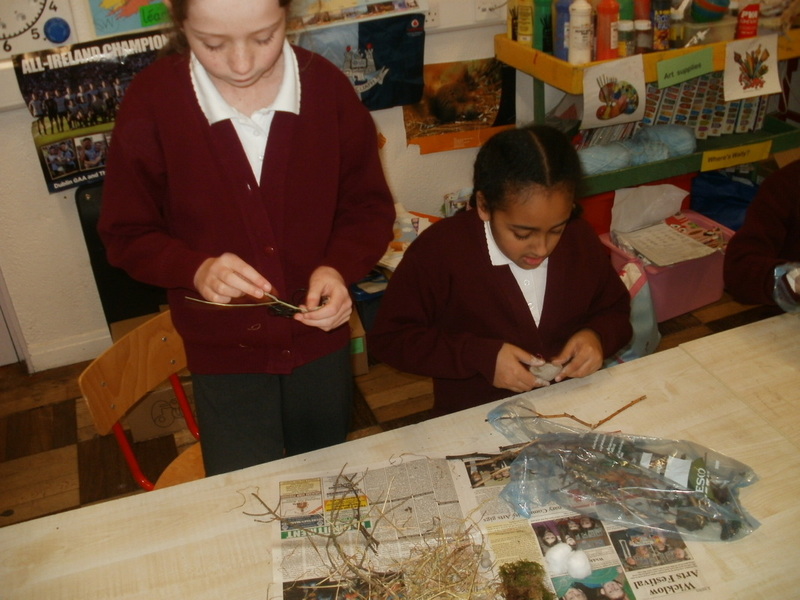 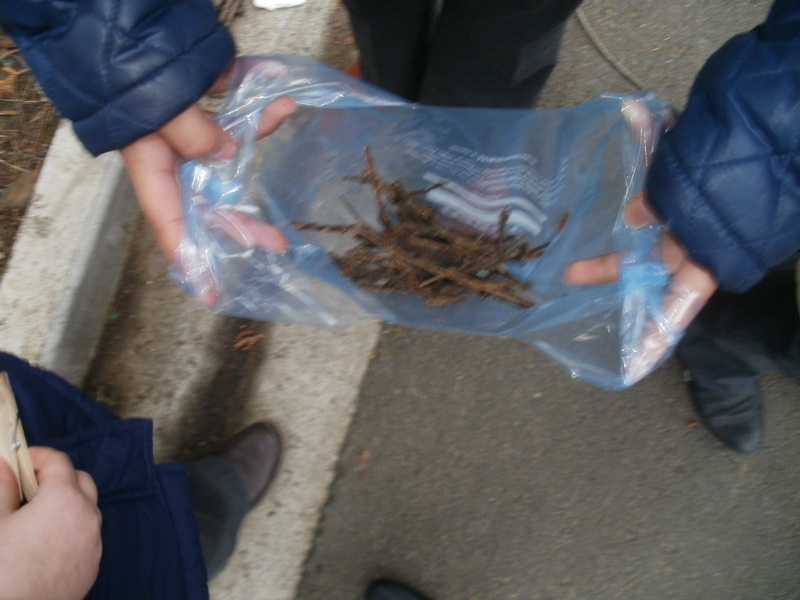 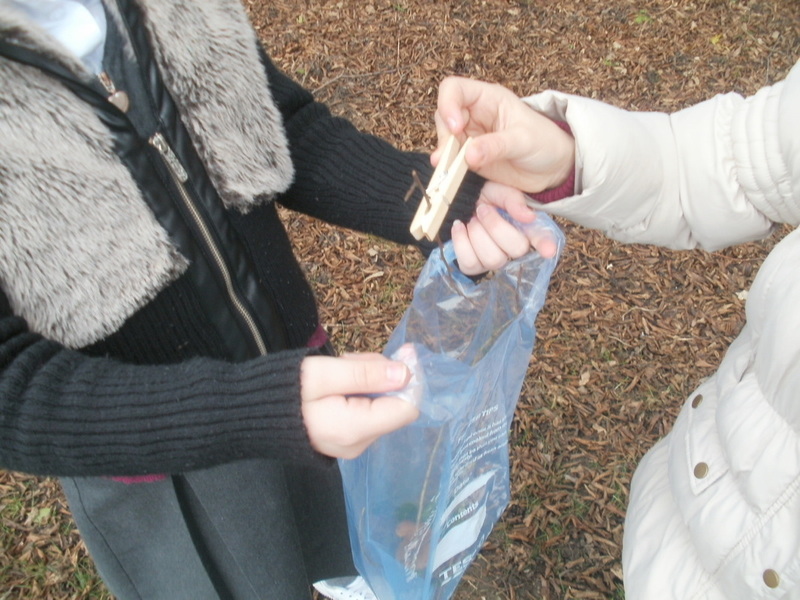 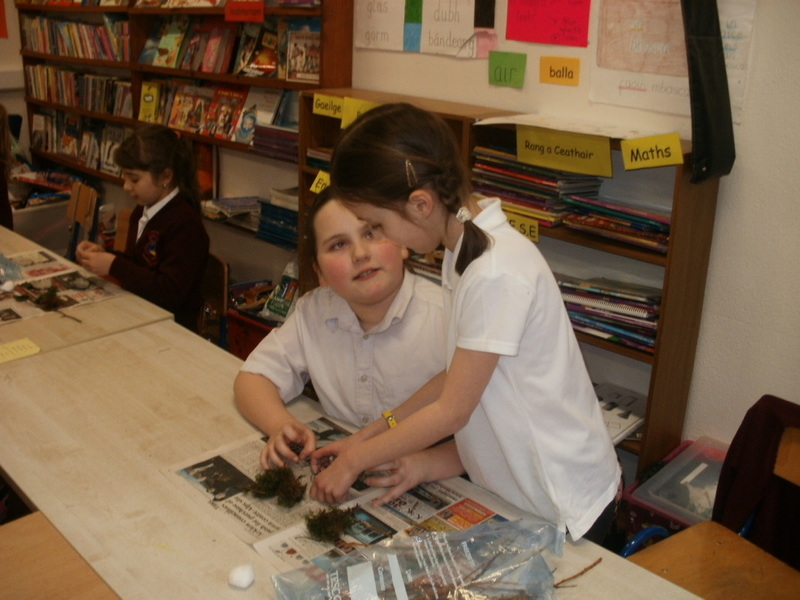 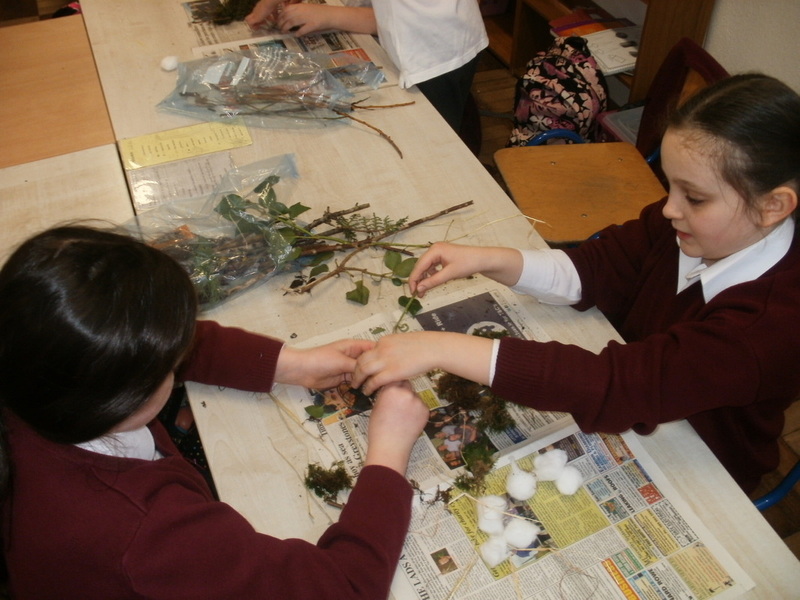 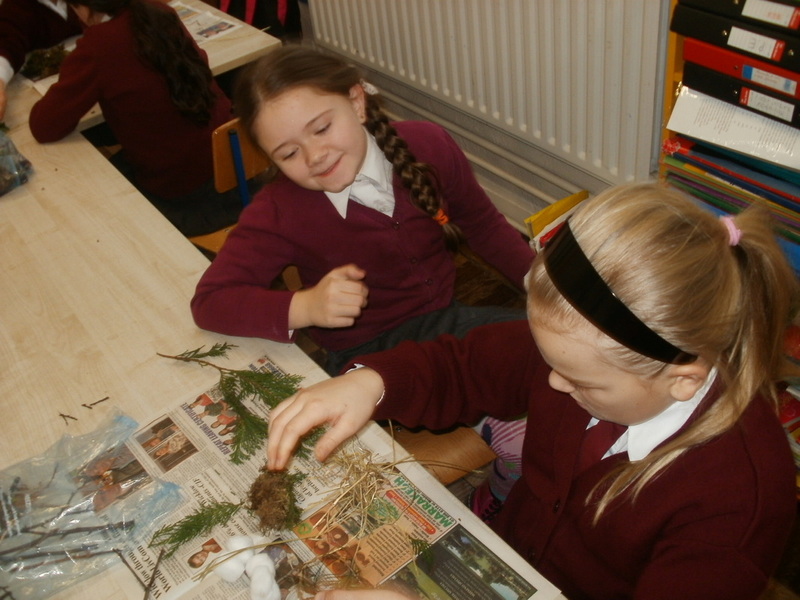 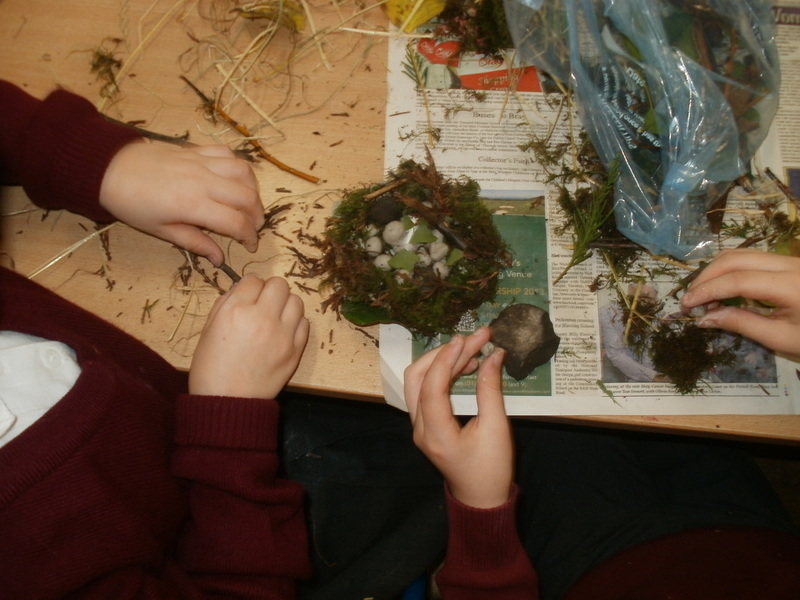 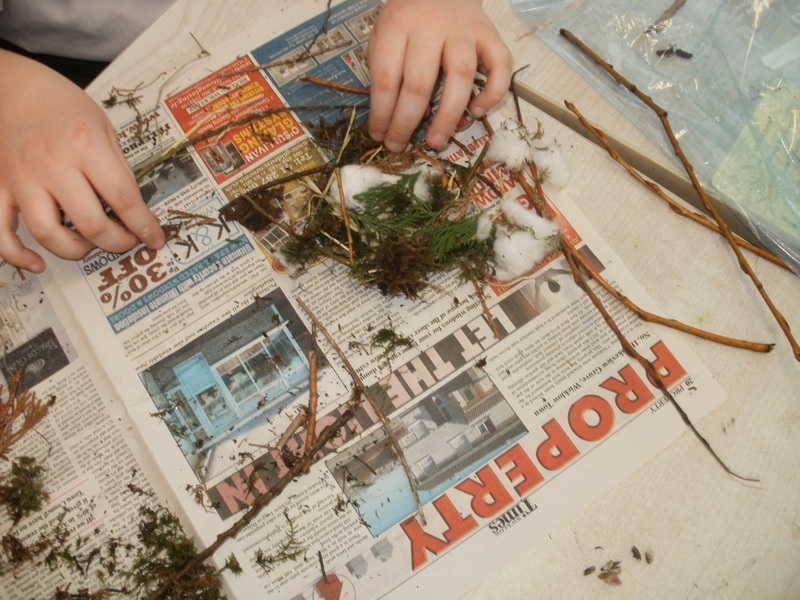 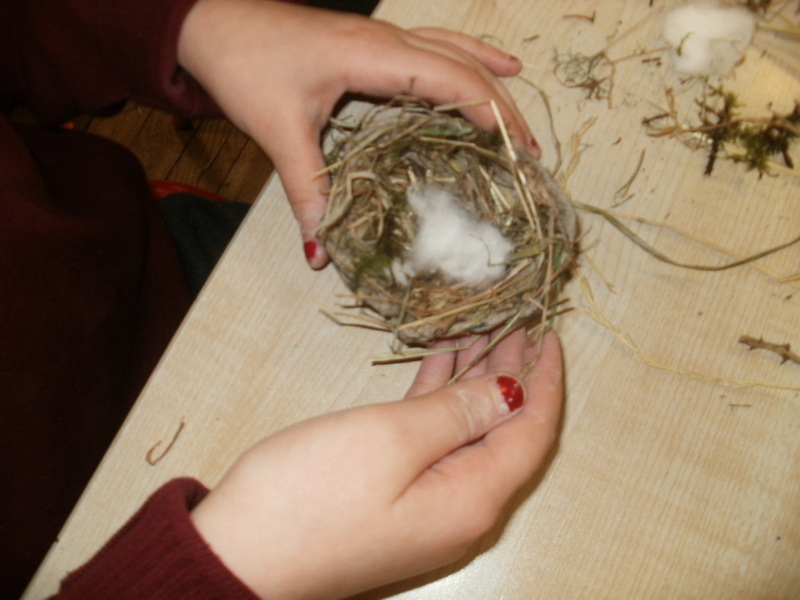 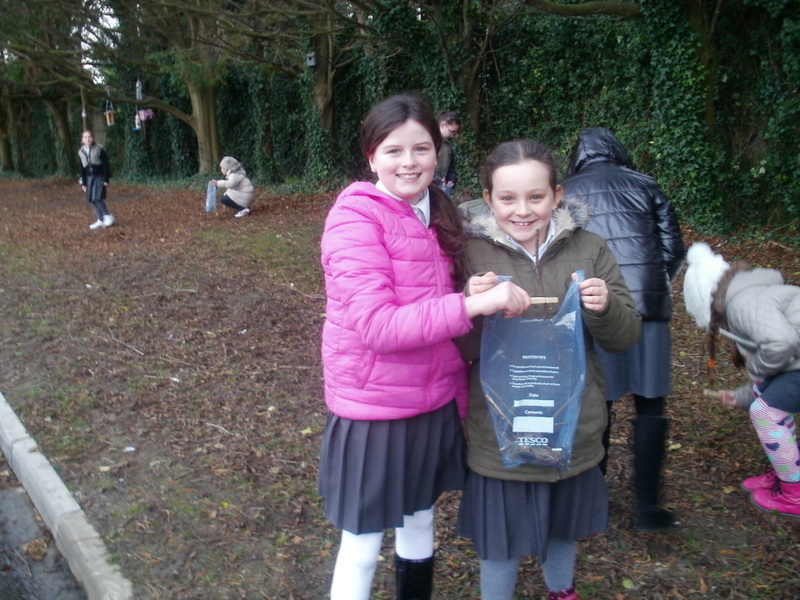 We also collected materials and made nests in pairs! 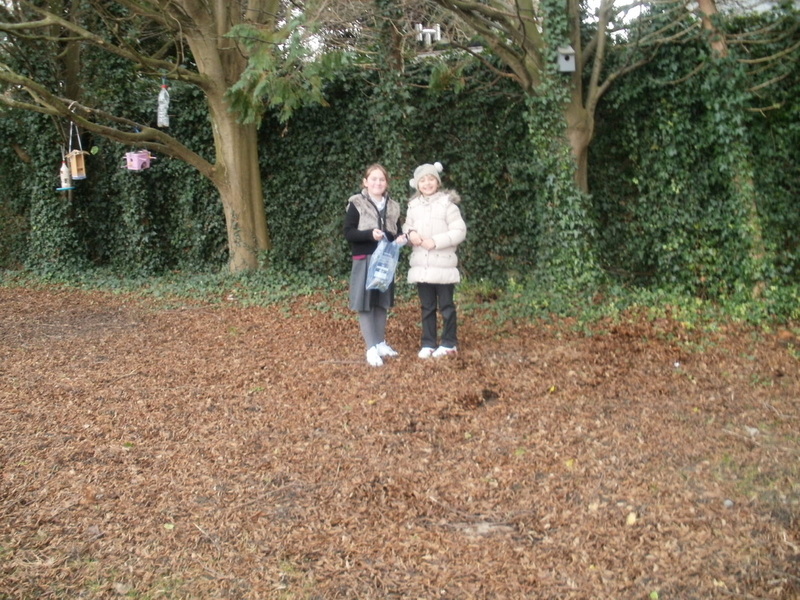 We thoroughly enjoyed ourselves. 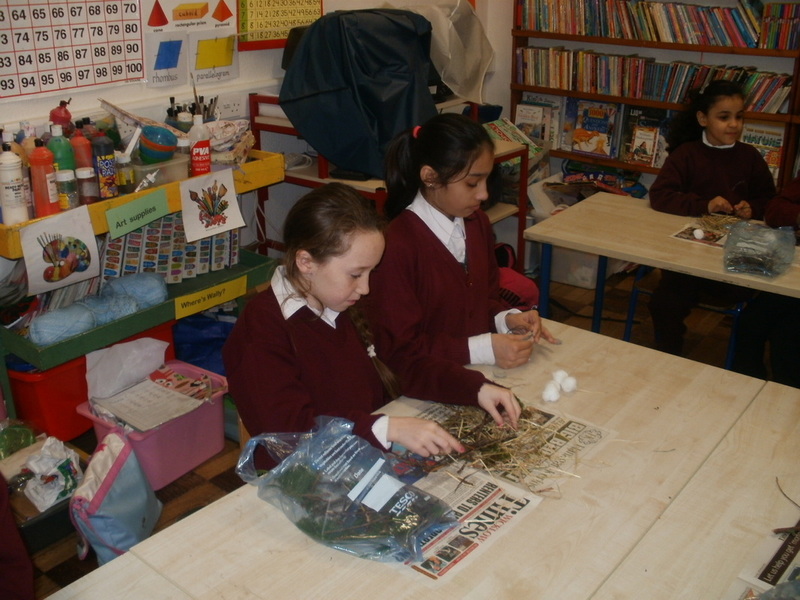 This term 3rd/4th class in Room 9 are reading the novel The Suitcase Kid by Jacqueline Wilson. 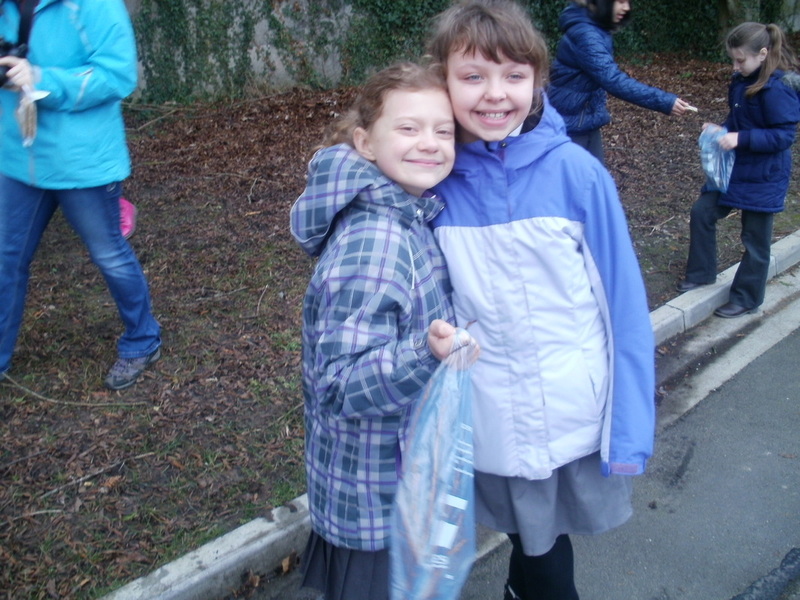 We are thoroughly enjoying it! 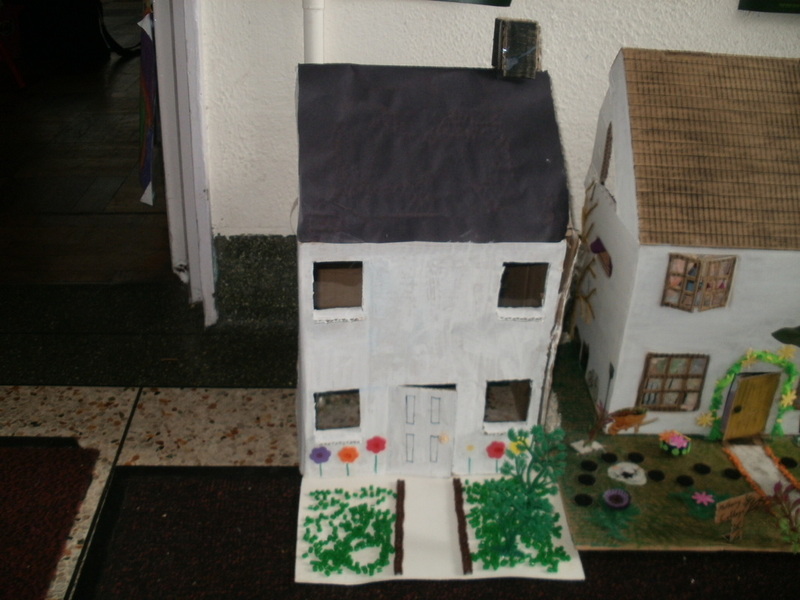 The main character, Andrea, tells us about her old home Mulberry Cottage. 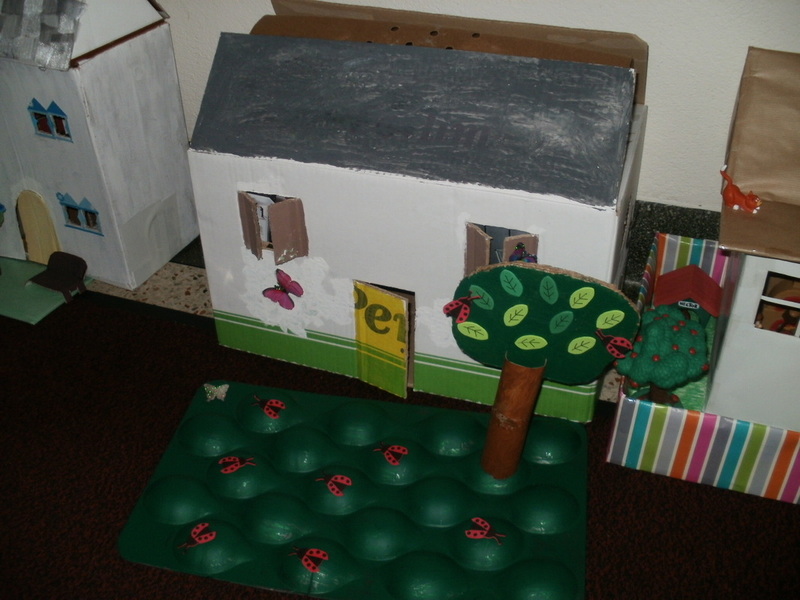 We decided to construct our own versions of Mulberry Cottage! 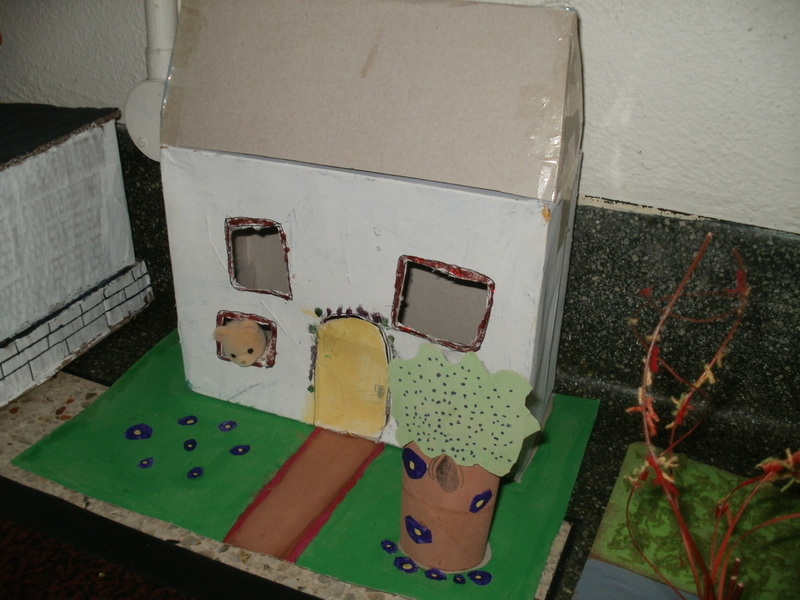 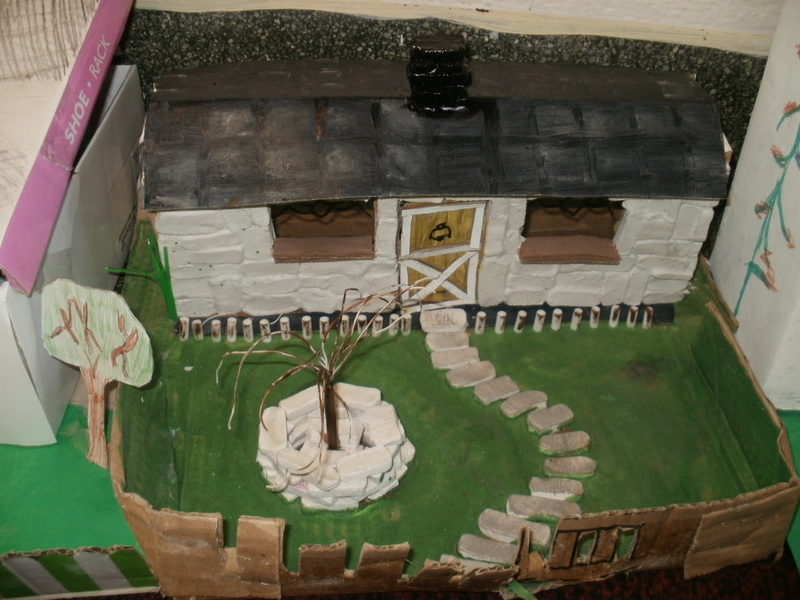 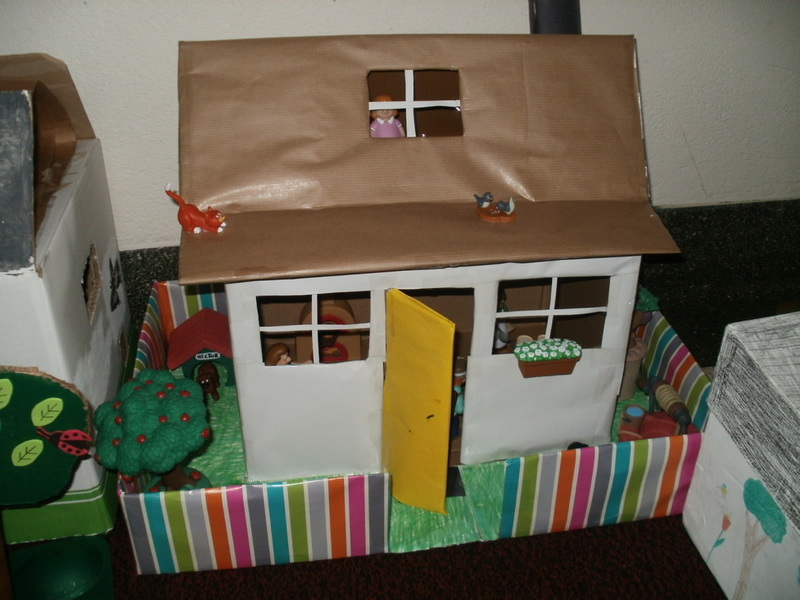 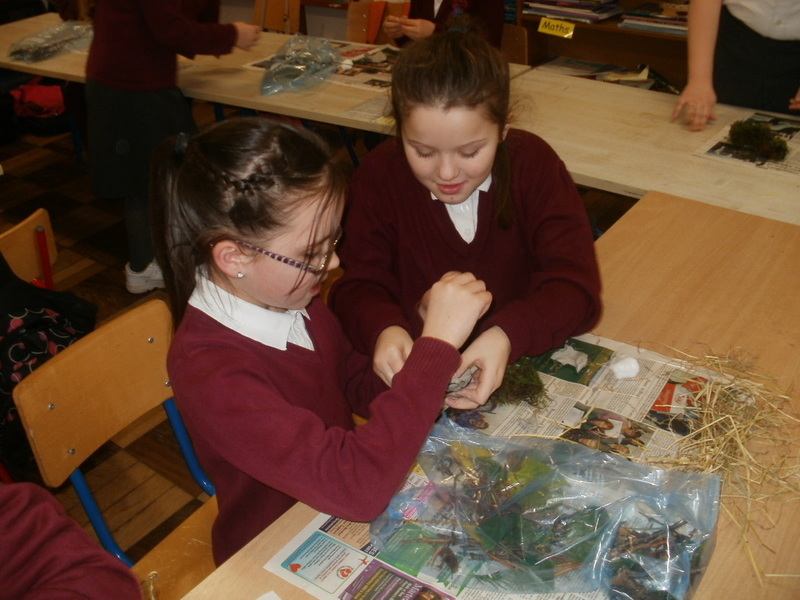 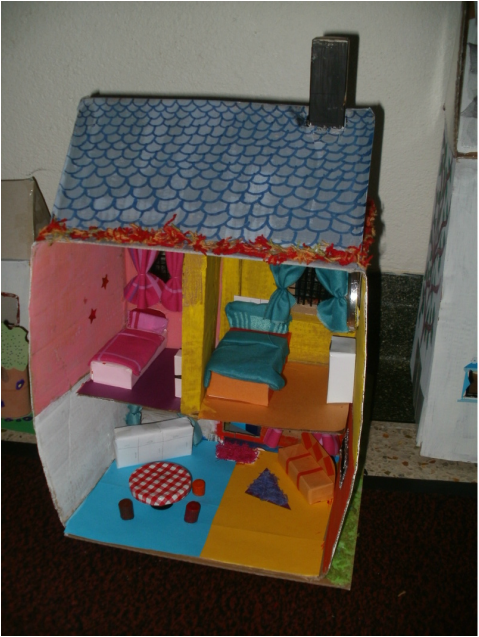 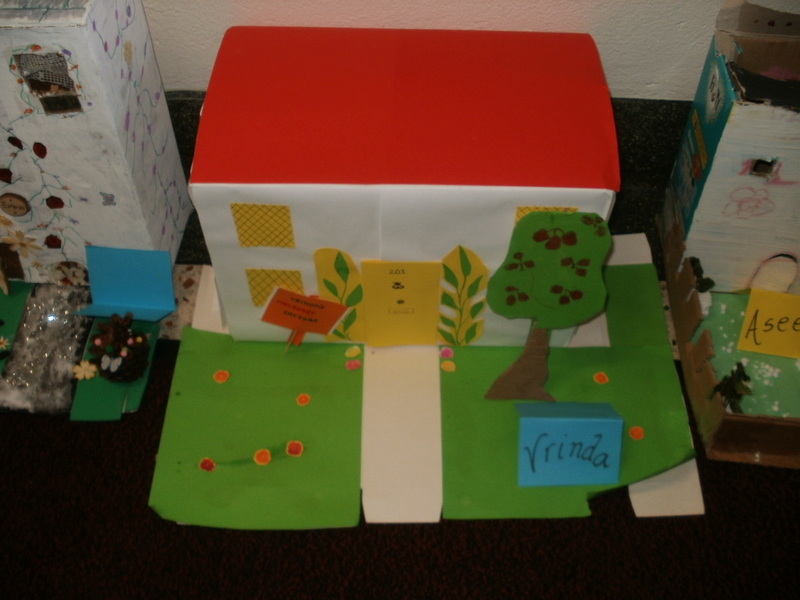 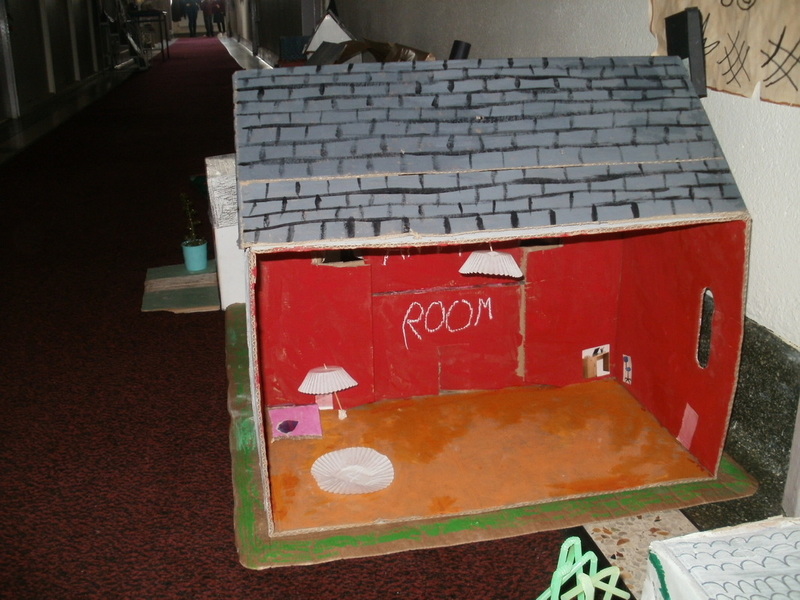 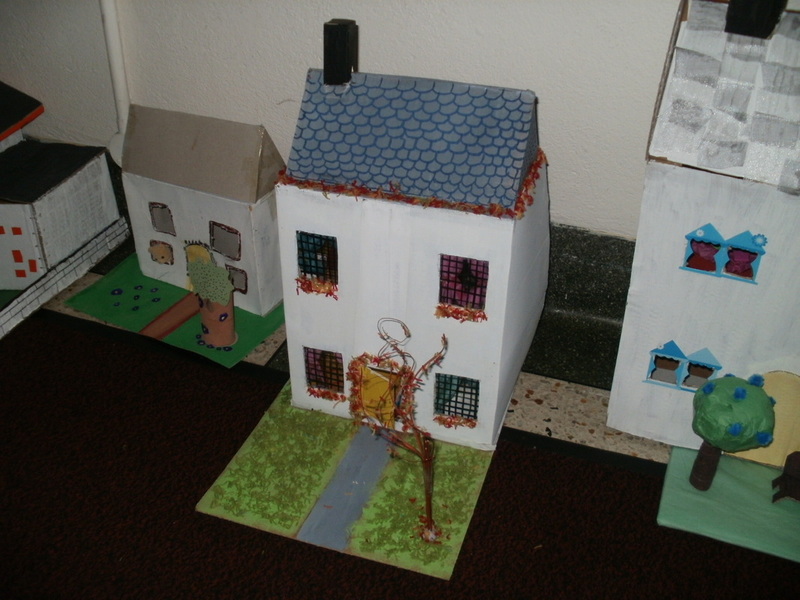 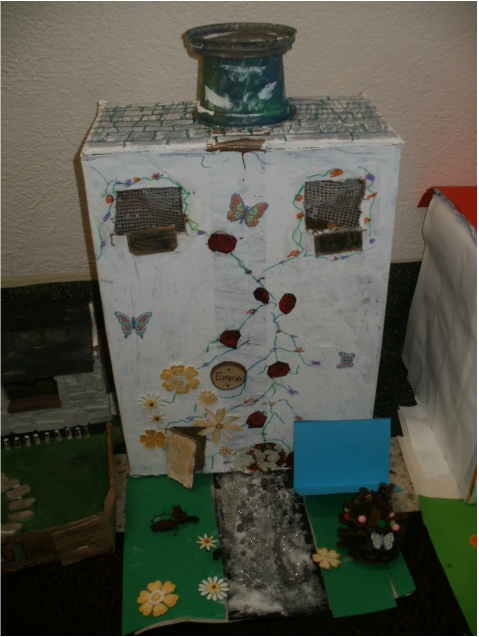 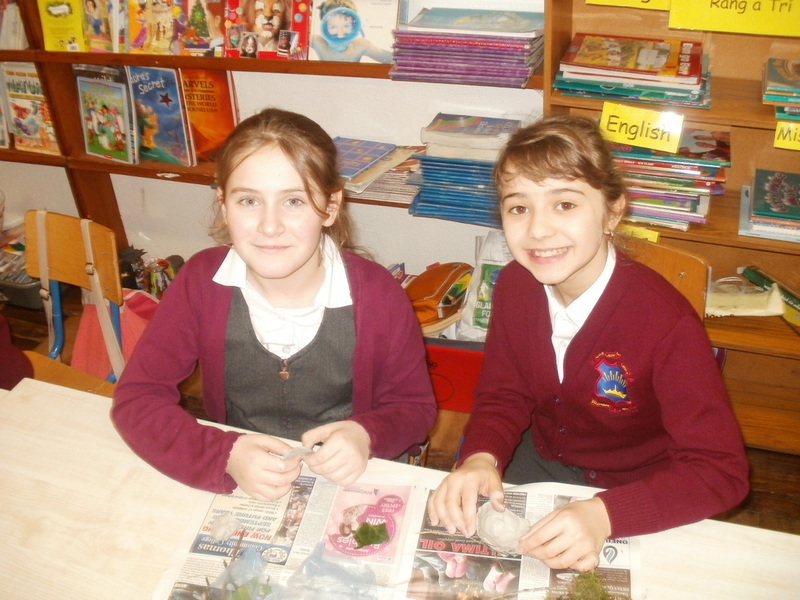 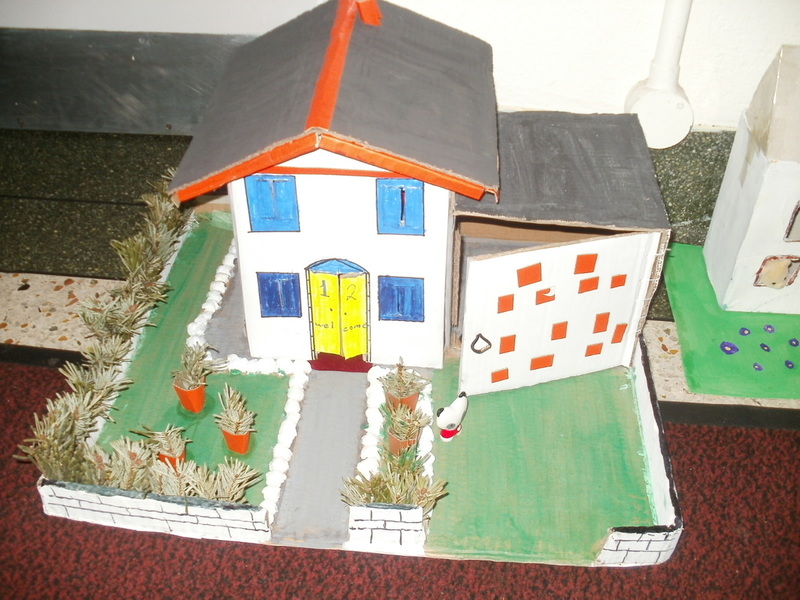 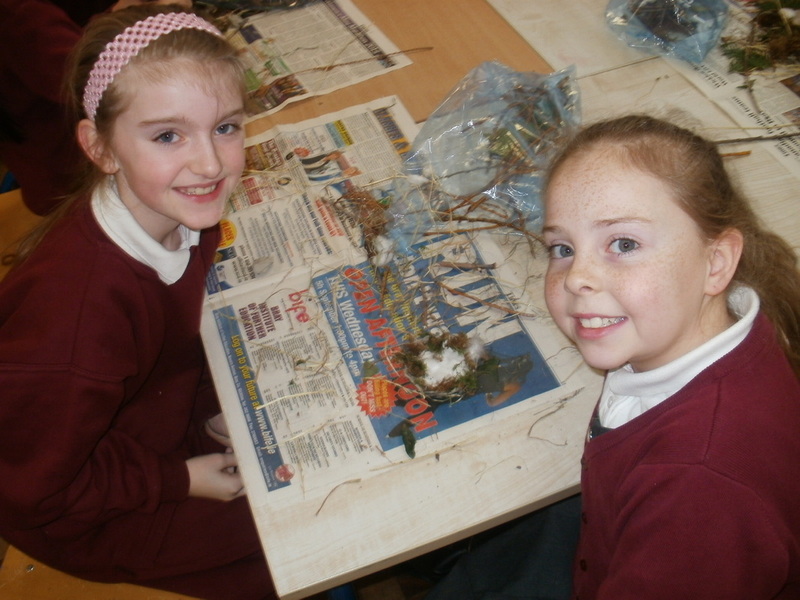 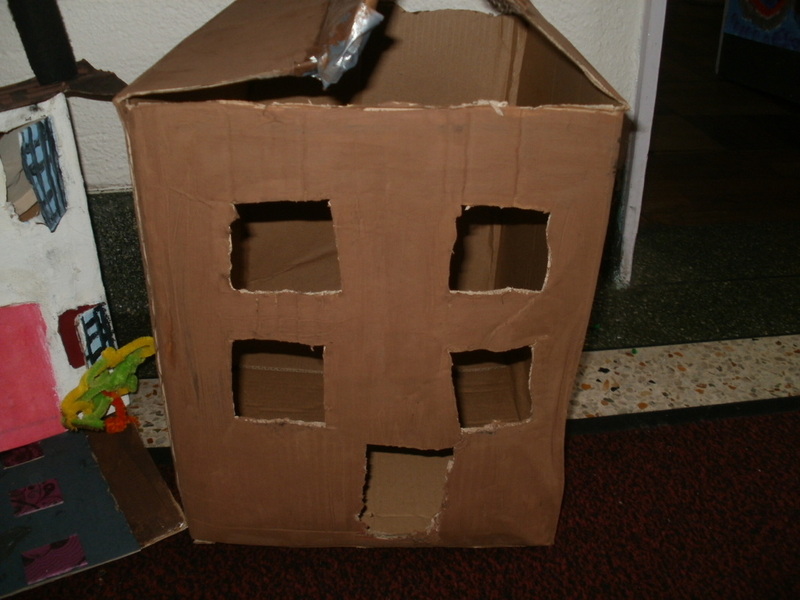 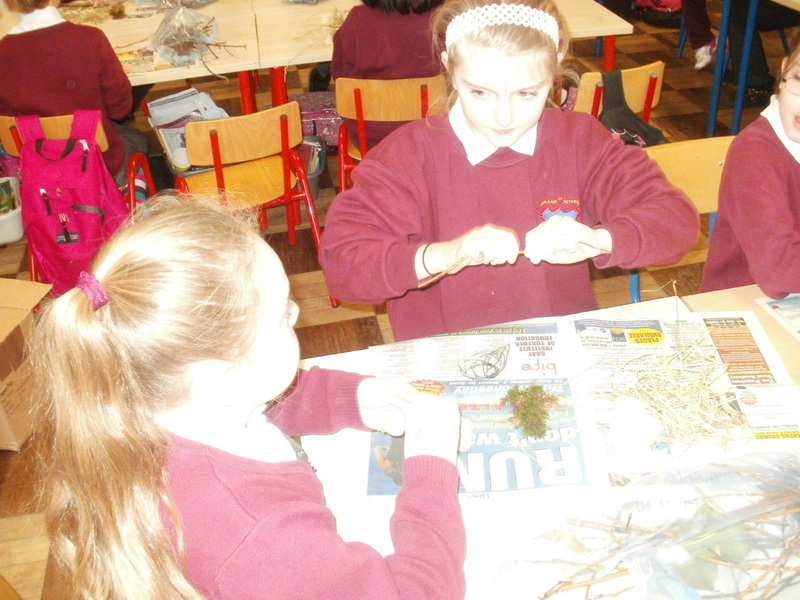 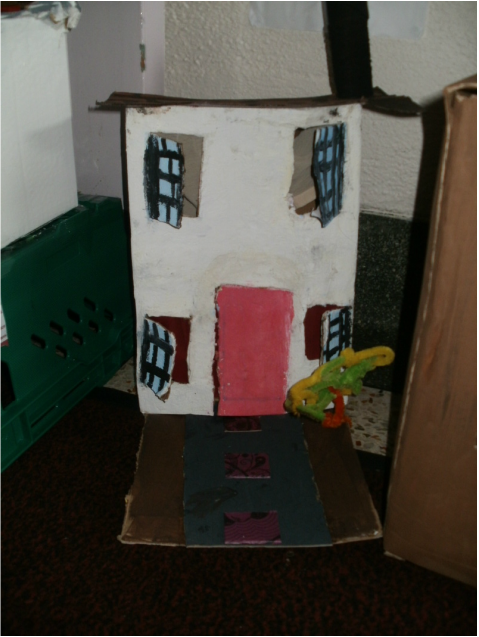 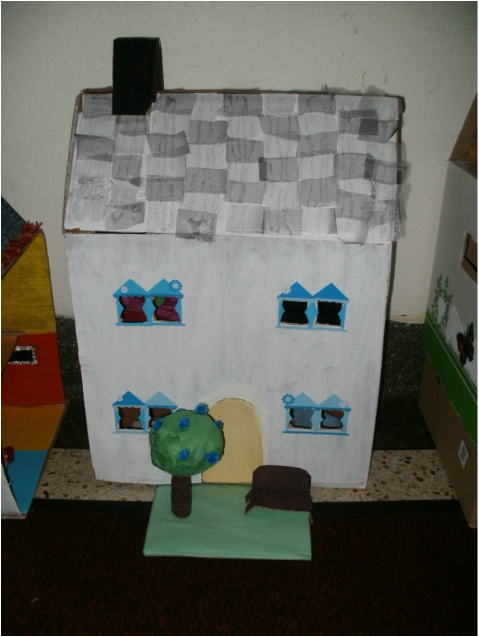 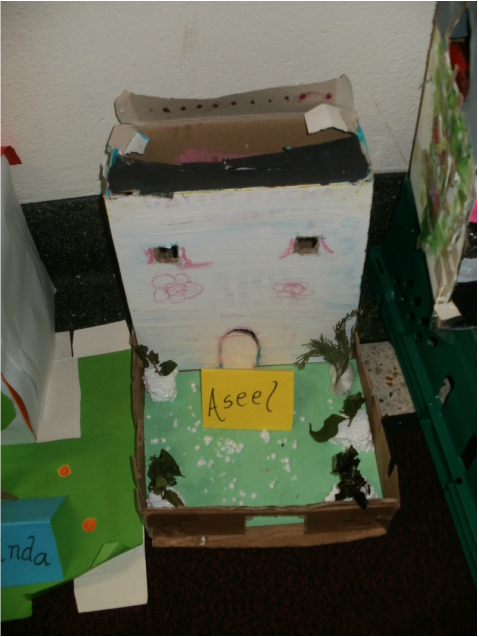 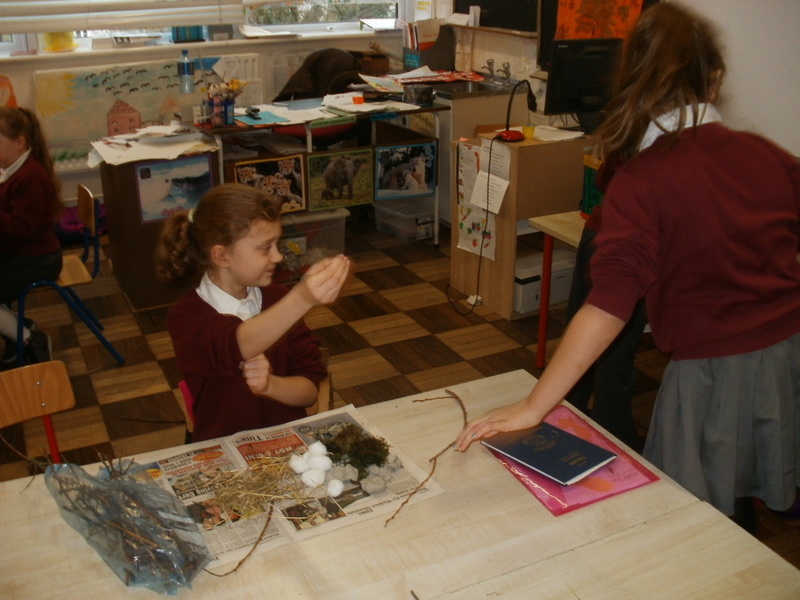 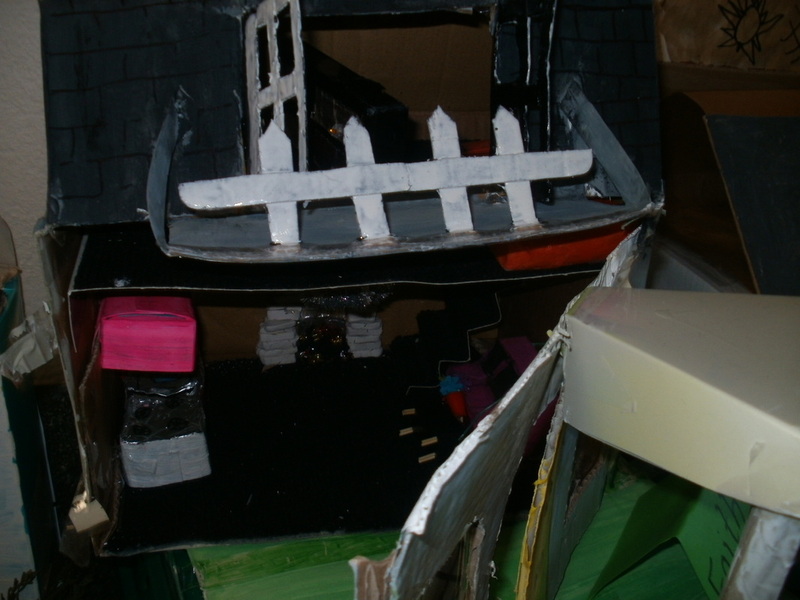 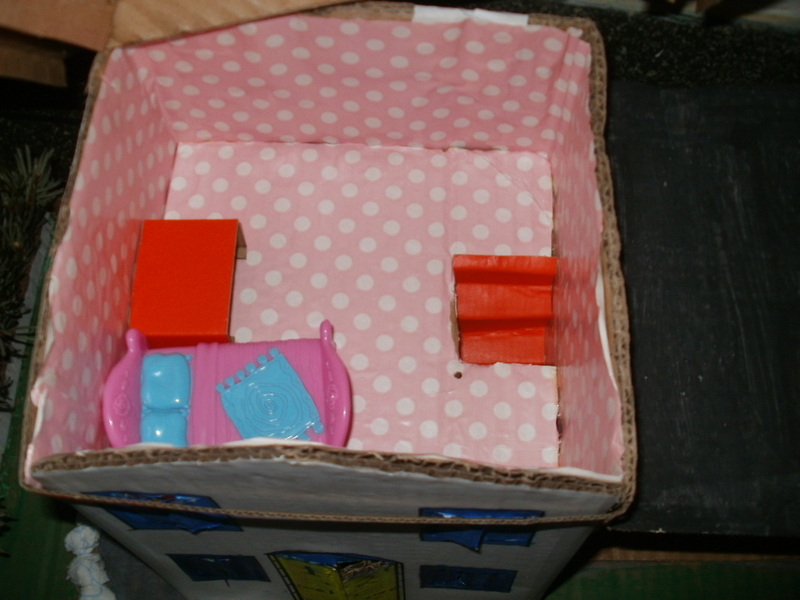 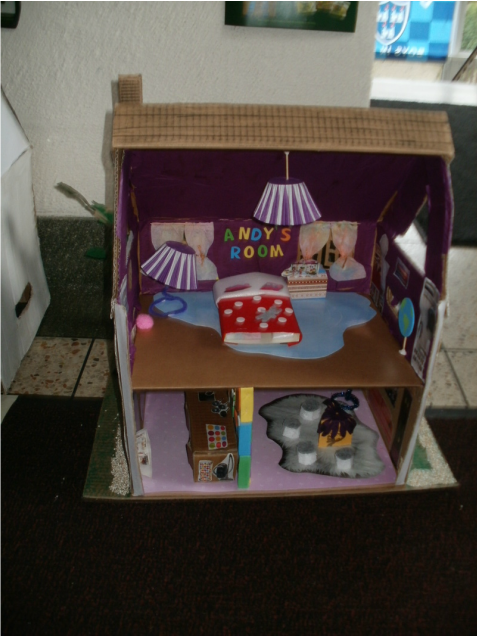 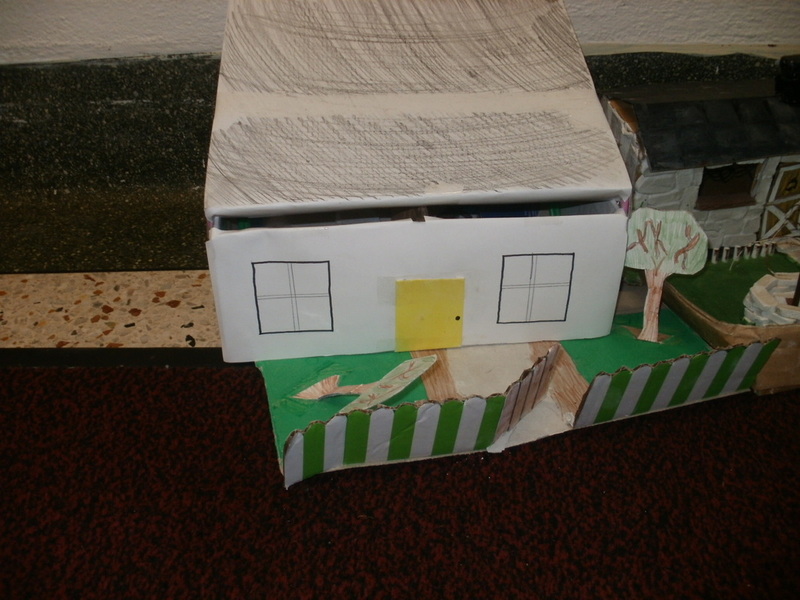 We used recycled materials including paper, cardboard (cereal boxes etc. 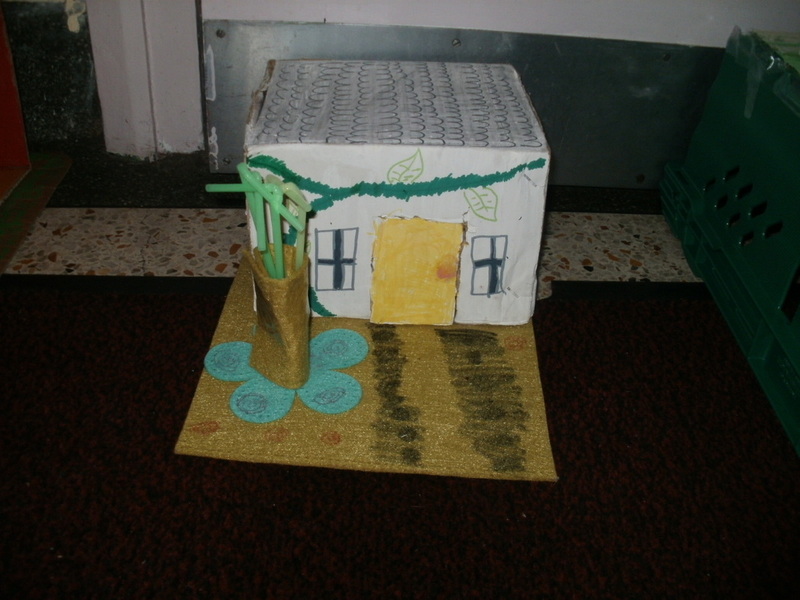 ), bun cases, pipe cleaners, toys, cartons and even old Christmas trees! 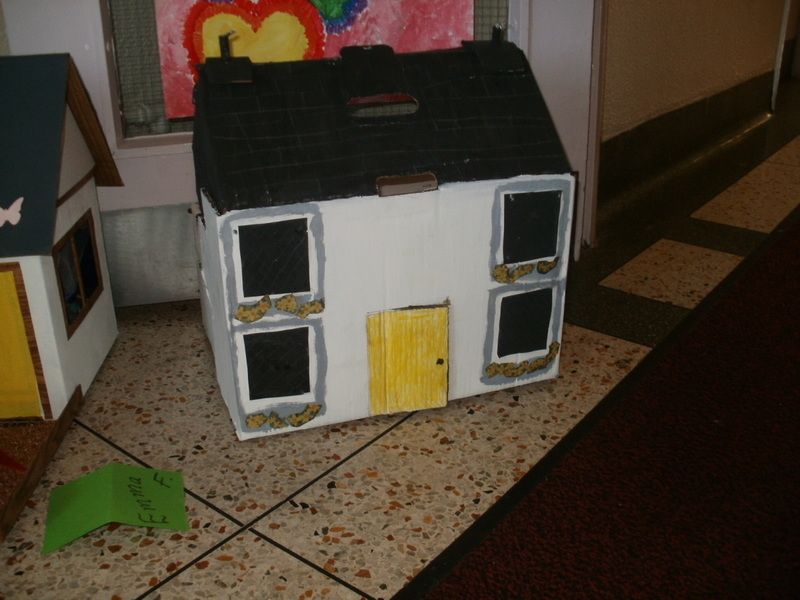 Here are some pictures of our projects. 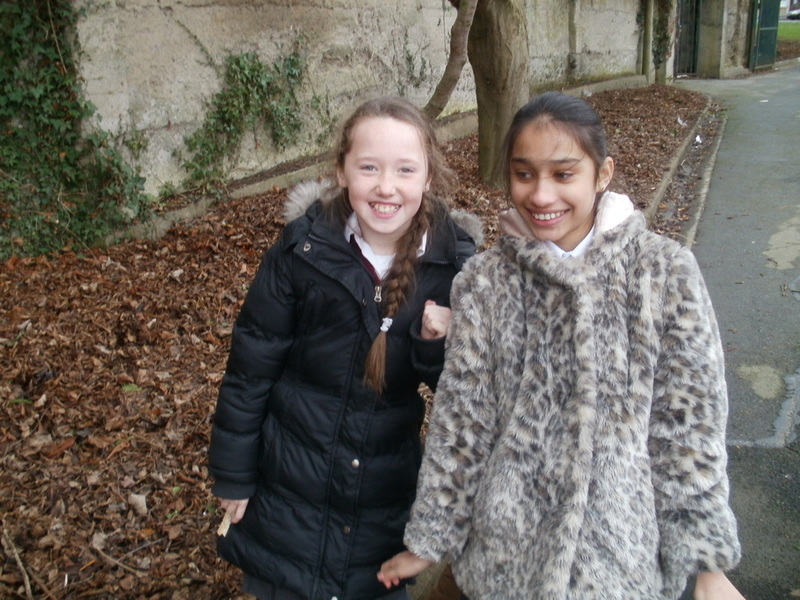 We hope you enjoy exploring! 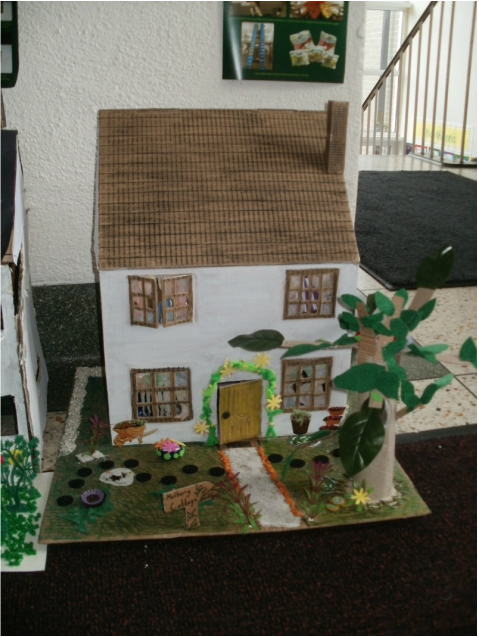 We are so proud of Julia Slaby, one of our classmates, who won first place in the Credit Union art competition at local level! 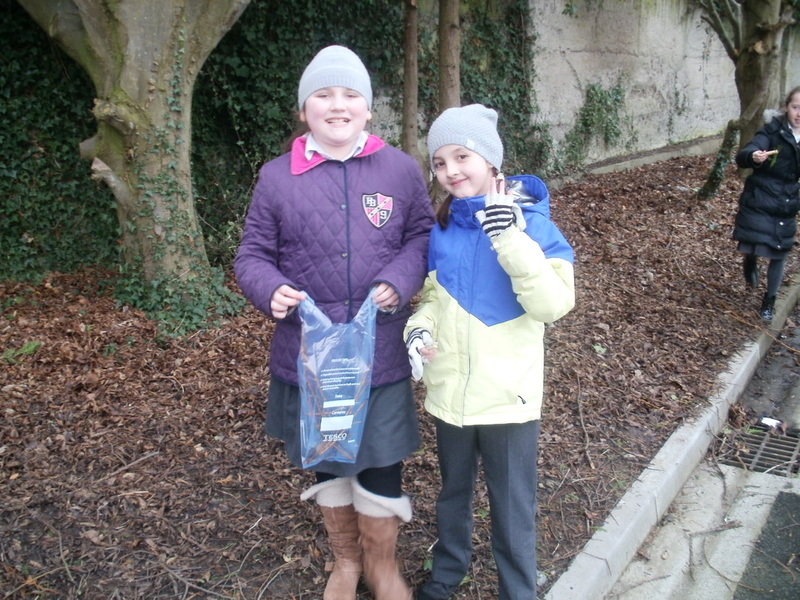 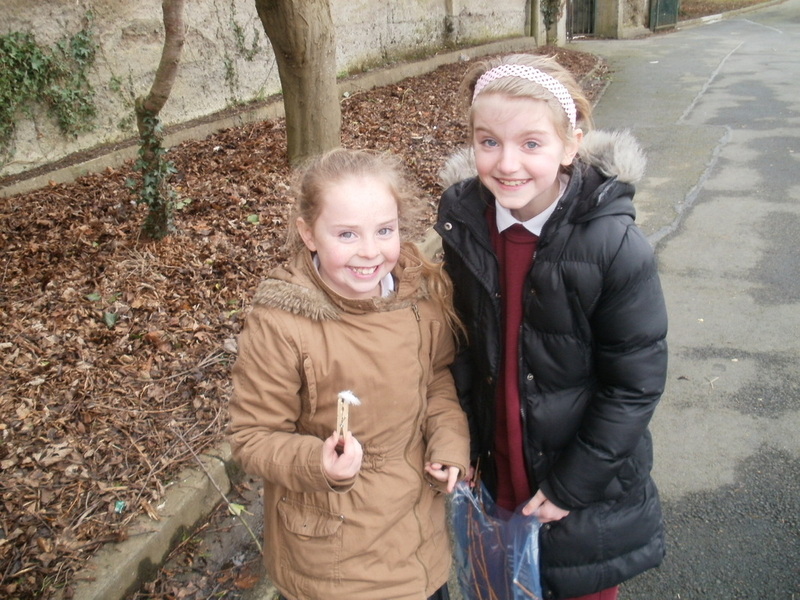 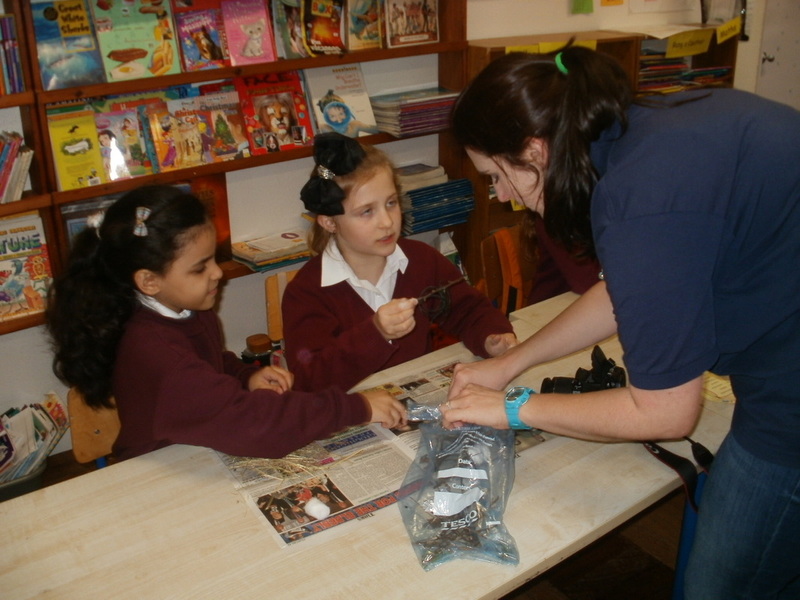 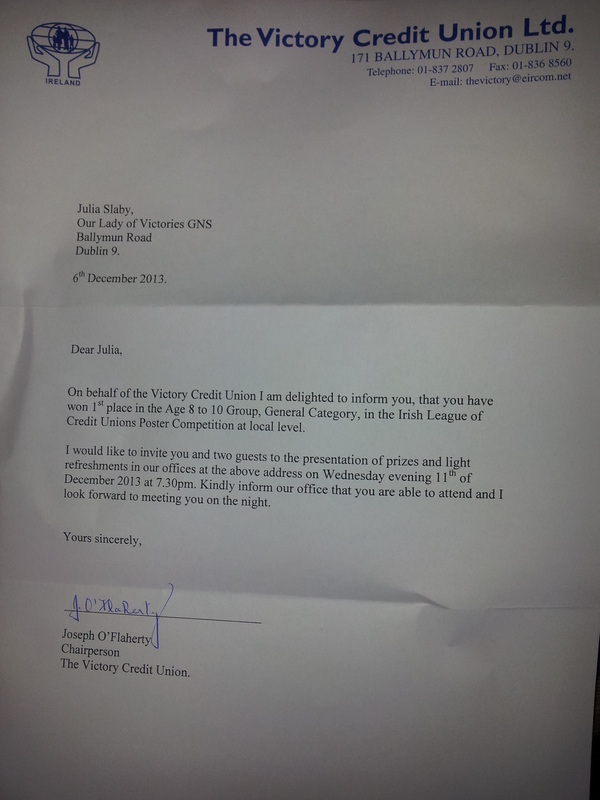 She attended a presentation in the Our Lady of Victories Credit Union on Wednesday 11th December. 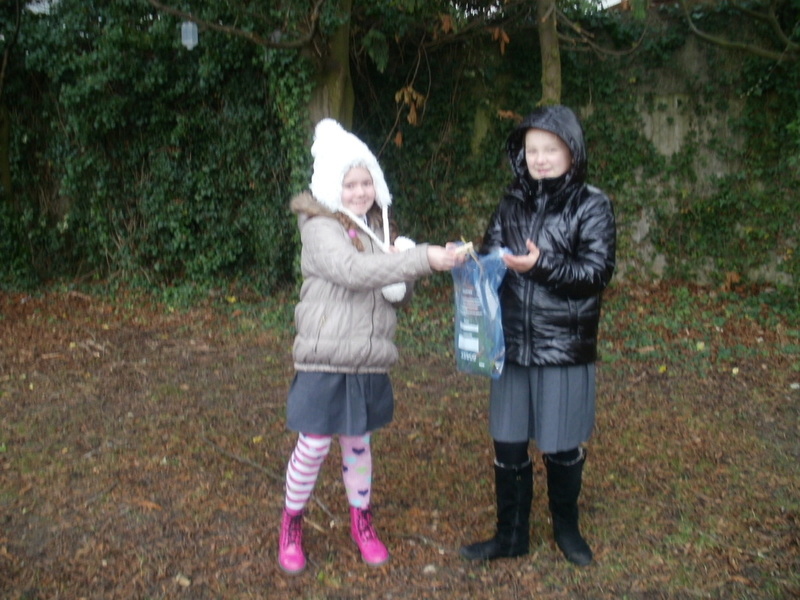 She received a cheque for 45 euro and a beautiful certificate.